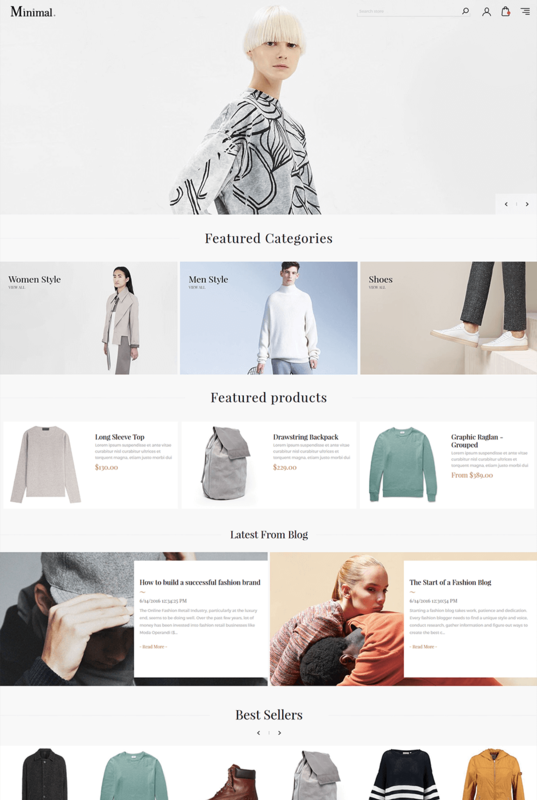 Simplicity and clean design are at the heart of this nopCommerce theme. 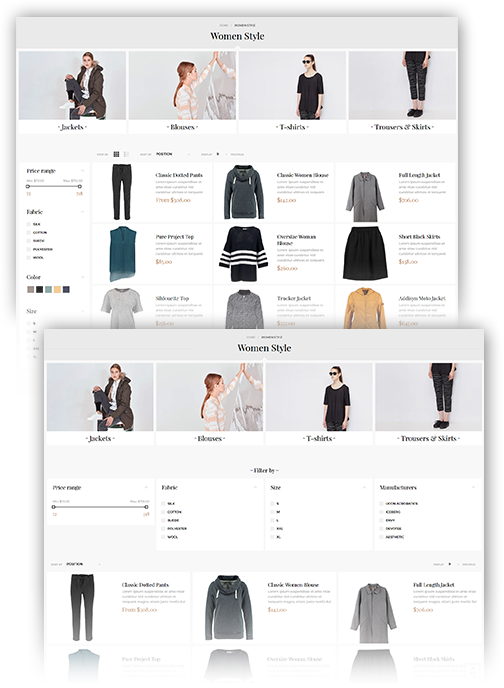 Its minimalist design is enhanced by 13 powerful plugins, on the fly customization options and 5 predefined color presets to help you tailor the best look for your online store. The theme is the first in our portfolio based on a fluid grid system, so it always uses the entire available space of the screen to display content. 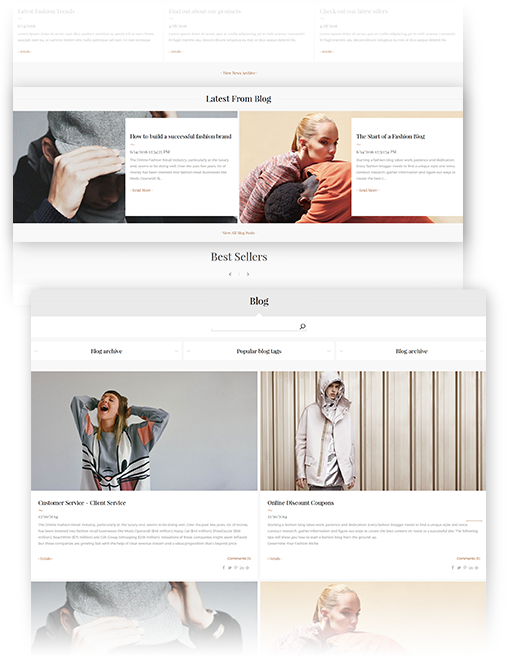 Fluid based responsive layout so the theme will adapt and adjust automatically to any resolution. 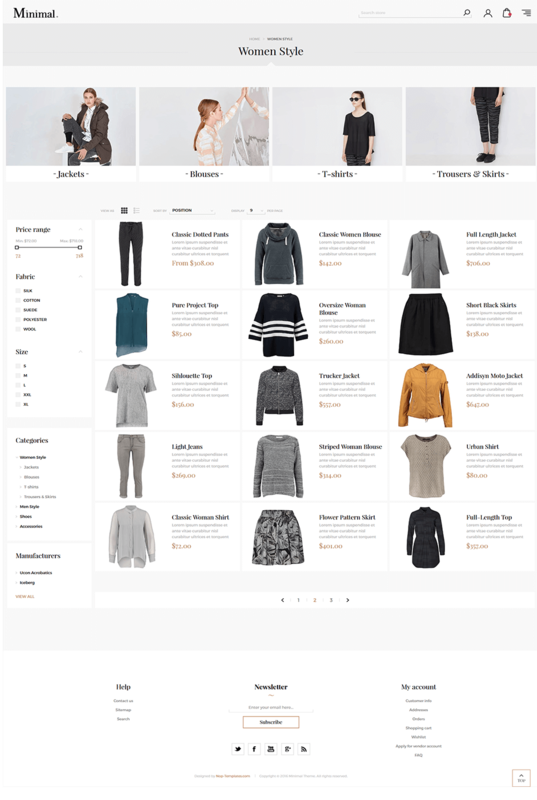 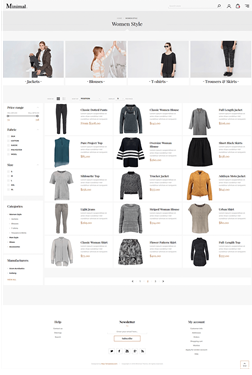 The theme comes with 13 plugins to offer a complete e-commerce solution packed with all the necessary functionality: Nop Ajax Filters, Nop Anywhere Sliders, Nop JCarousel, Nop Mega Menu, Nop Quick View, Nop Quick Tabs, Nop Ajax Cart, Nop Instant Search, Nop Cloud Zoom, Nop Product Ribbons, Nop Rich Blog, Nop Previous/Next, Nop Social Feed. The theme has a Facebook Shop integration, which allows you to sell products directly on your Facebook page. 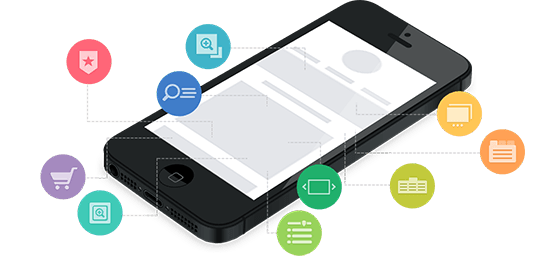 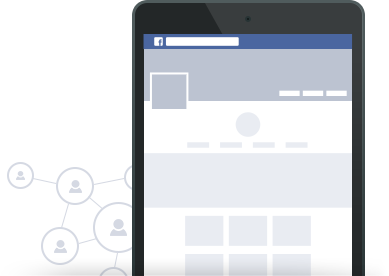 Your customers can browse your catalog and search for the right product right within Facebook. 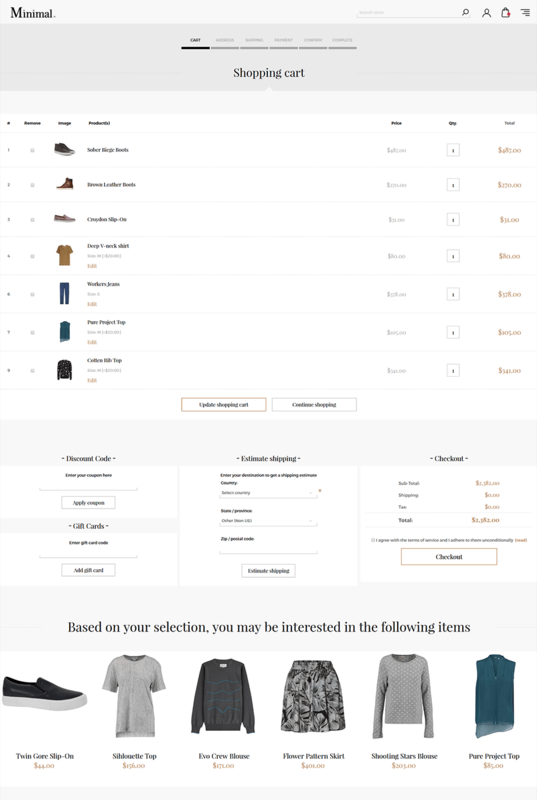 Every change to each product is updated in real-time. 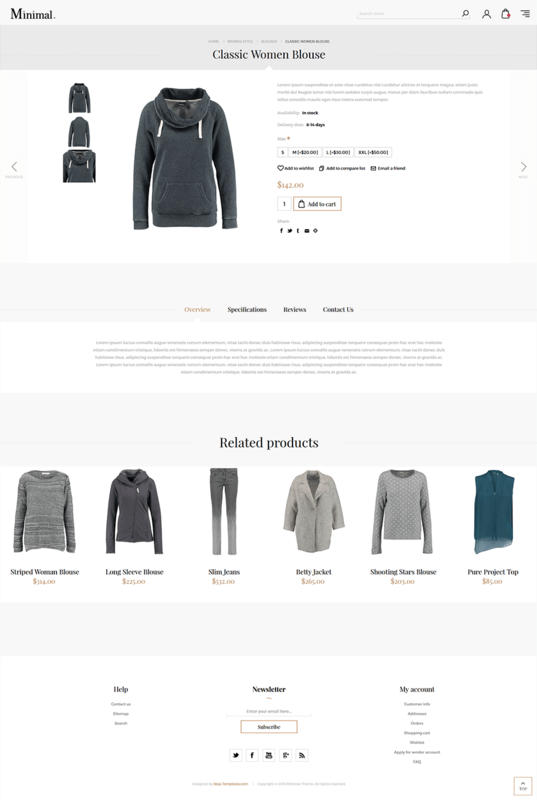 To see a live preview of the Facebook shop for the Nop Minimal Theme, click here. 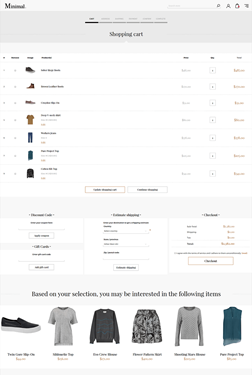 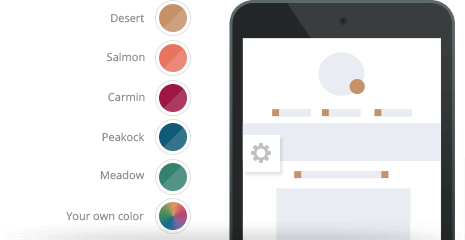 Choose one of the two predefined item box hover effects for products displayed in a grid from the theme's administration. 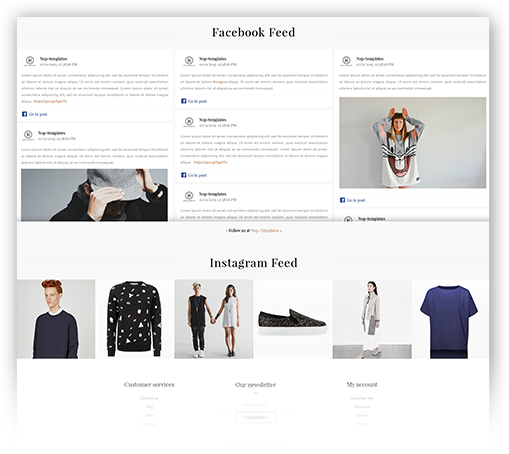 Bring your social feed to your website visitors by displaying posts from the most popular social networks (Facebook, Twitter, Pinterest, Instagram and Google+). 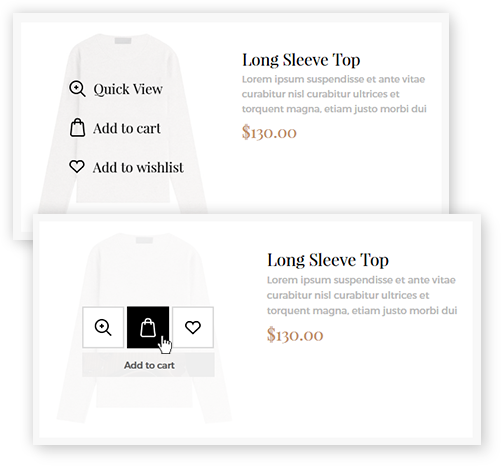 The Nop Ajax Filters plugin adds extremely fast and powerful filtering capabilities to make navigation of your nopCommerce store easy and shopping quick and enjoyable. 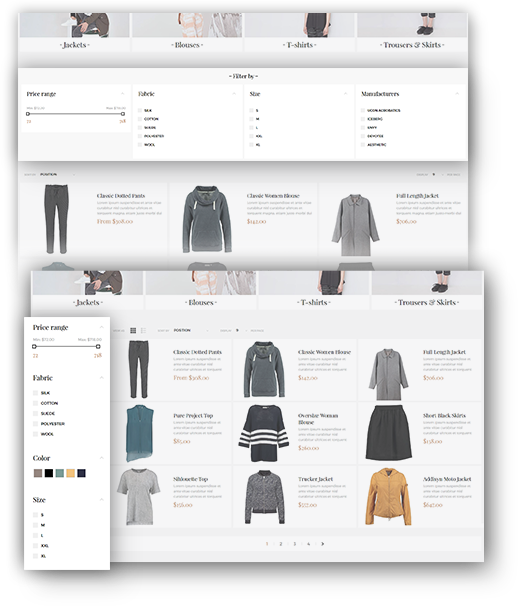 With the Nop Ajax Filters, your customers will be able to filter products by price, manufacturer, specifications and even attributes. 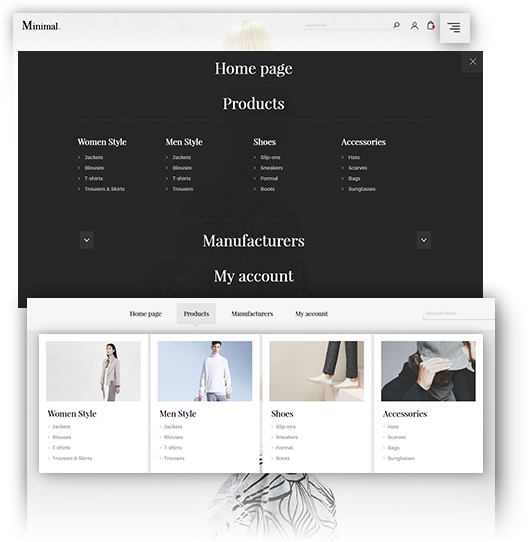 The plugin integrates with the category, manufacturer and vendor pages of your nopCommerce store.